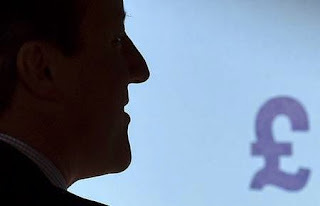 What Does A Tory Majority Government Mean For Small Businesses? The Conservatives have won the 2015 General Election and are forming a single party government. Not only is this result a surprise, it has been received with mixed reviews and a minority have taken to the streets to protest. Business owners, however, have high hopes for the next five years. Conservatives have repeatedly described SMEs as “the lifeblood of the economy." The Conservative’s small business manifesto pledges to increase the number of startups to 600,000 a year by 2020. Business owners will also be hoping that unnecessary, time consuming and costly regulations and paper work will be slashed under the full Tory government. So far the Conservatives have pledged to reduce such regulations and save businesses £10bn over the next five years. Many employers want greater flexibility in hiring and firing decisions, with a reduced risk of being taken to an employment tribunal. The previously overruled Beecroft report looks likely to be implemented now that the Liberal Democrats can’t stand in the way. It suggests a shakeup of employment legislation and the proposal to allow employers to make no-fault dismissals. Europe. The in/out referendum. It’s an issue that divides SMEs: Many business owners who have offices or clients in Europe are worried that changes to the UK’s EU membership will make it harder to access the European market. Change and uncertainty on this level is unnerving for everyone involved. Late payment remains a big issue for businesses. The Conservatives have promised to strengthen the prompt payment code and improve transparency. The Tories have also pledged to invest £100bn in infrastructure during this parliament with high profile projects such as HS2 and proposed airport expansion in the South East. Business owners can expect George Osborne to implement a bunch of new changes in regard to tax, including increases in personal allowances, national insurance holidays, a cut in corporation tax and a freeze on VAT. There’s also a plan to review business rates. UK business owners impact jobs, exports, investment and tax revenues and are crucial to our nation’s success. For our country’s economy to grow, SMEs will play a big part in making that happen therefore further financial assistance should become available. On the whole it seems that a Conservative win will massively benefit business owners, but as always with politics, we shall wait and see whether they can deliver on any of their promises. 360ict provides managed IT services and support for SMEs in central London and the south-east, including London Victoria, Euston, Bromley and Croydon. For more advice on gaining competitive advantage as a mid-sized company, give us a call on 0208 663 4000 or contact us via our website.